The city of Portland, Oregon stands in the shadow of an imposing mountain. 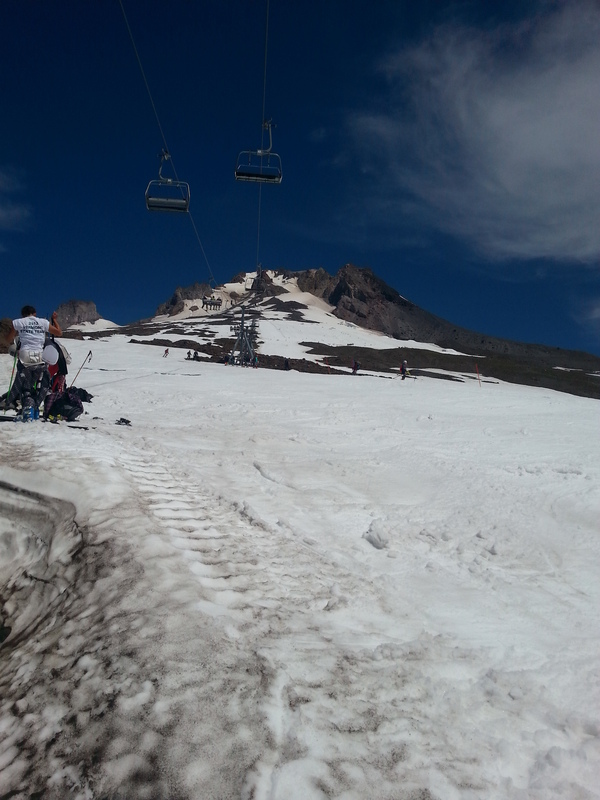 The name of that mountain is Mount Hood. 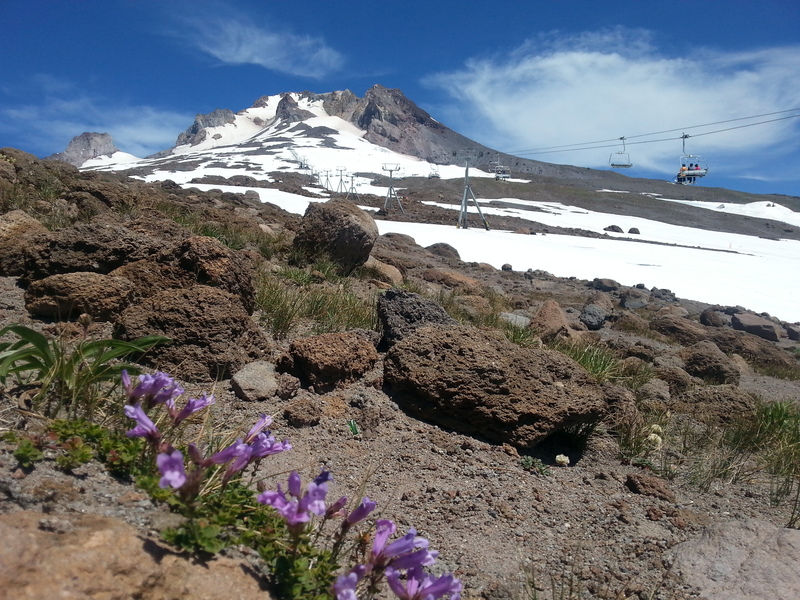 In the winter, Mount Hood is a lovely place for skiing and snowboarding. But in the summer, it’s a nice place to go for a hike. There are trails all over the mountain. 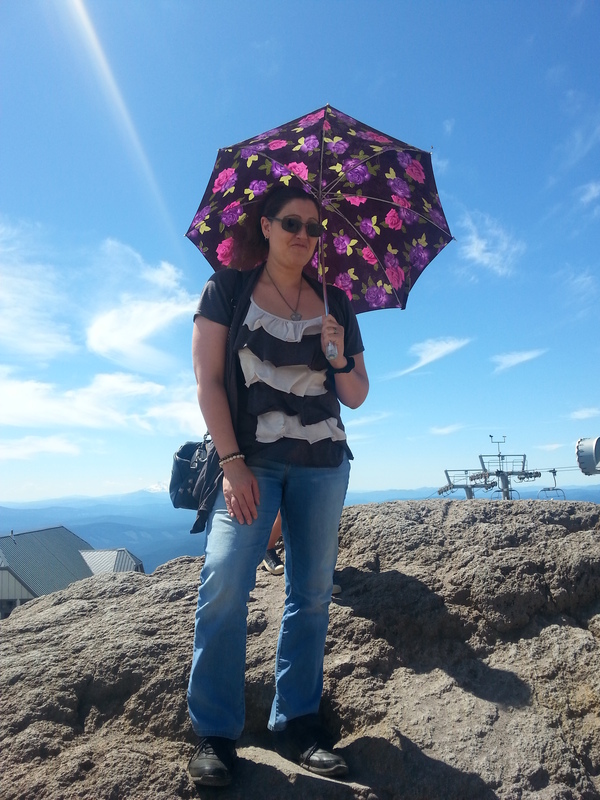 And, if you go to the ski resort, you can take the chair lift up to the summit to enjoy the view from the top. It’s a long and windy drive, but it’s well worth it for the views. I highly recommend it as a place to hike. These days it’s not so important to give directions when you talk about a place, because all of that is online now. I know that the US Forest Service gives better directions than me, so that is the best way to find Bagby Hot Springs. So what does that leave me to do? Just provide insider information, I guess. 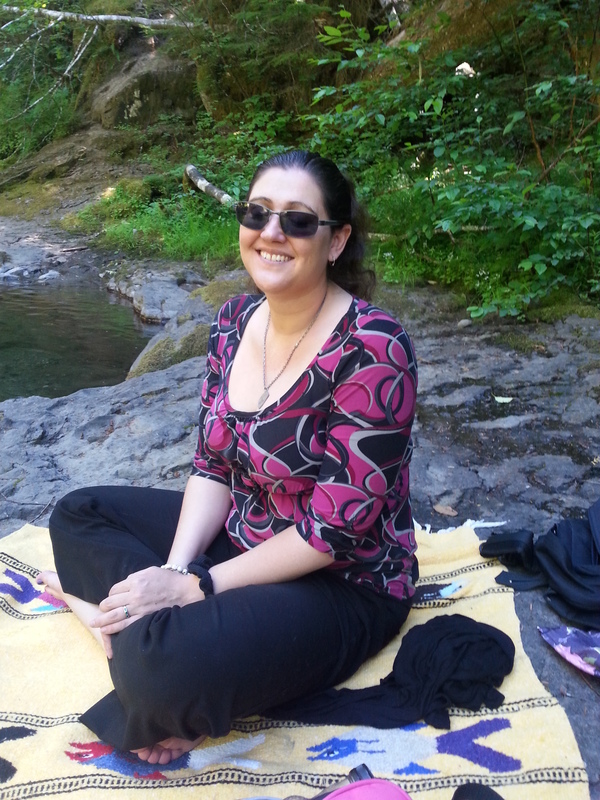 First, bring a blanket and a picnic because halfway up there is a waterfall and pond where you want to spend some time. It’s a really beautiful spot, and it would be a shame to just tromp over the bridge and keep going towards the springs without pause. Second, bring a bathing suit for the springs. It’s not so much ponds that you can get it (which is what I pictured.) 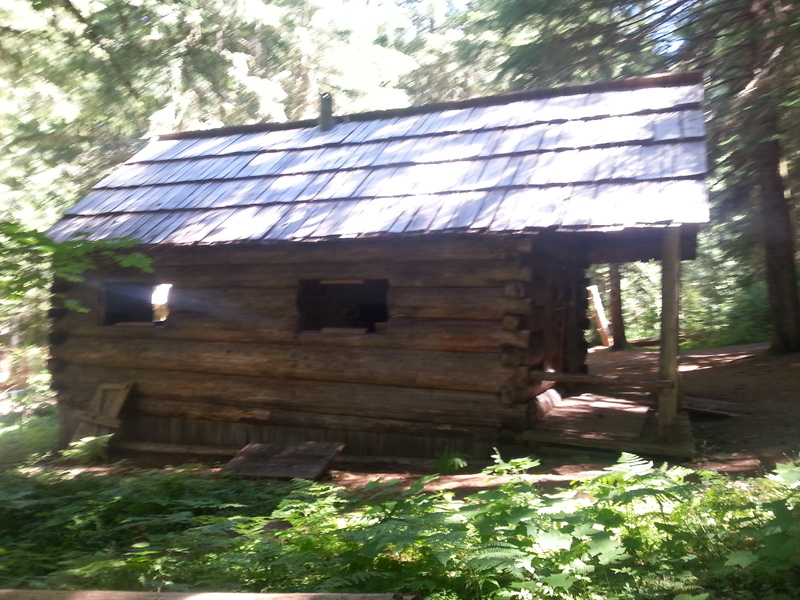 Instead it’s water from hot springs piped into wooden shacks with tubs inside. So, maybe bring wasp spray too if it’s a warm day. Most importantly: Write the directions down. There is no cell phone reception out in the forest, and my saved map on my phone from Google wouldn’t load. I was so thankful that I wrote the directions down so that we didn’t have to drive back into cell phone reception just to get them. I had been in South Korea for a few years, and so I had forgotten that there were places that didn’t have cell reception. But Bagby Hot Springs is one, so take care. 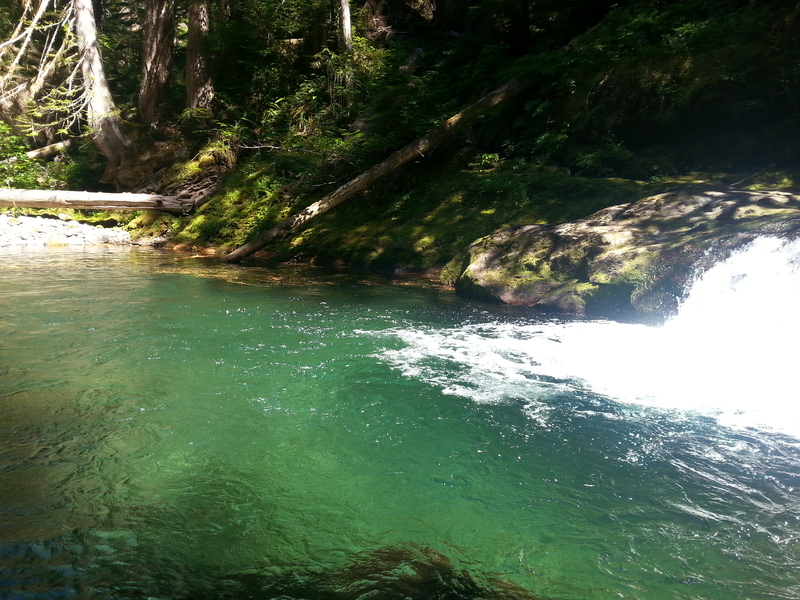 By the way, the swimming hole along the way was very cold (in May) but still wonderful. I think I liked it better than the Hot Spring water. 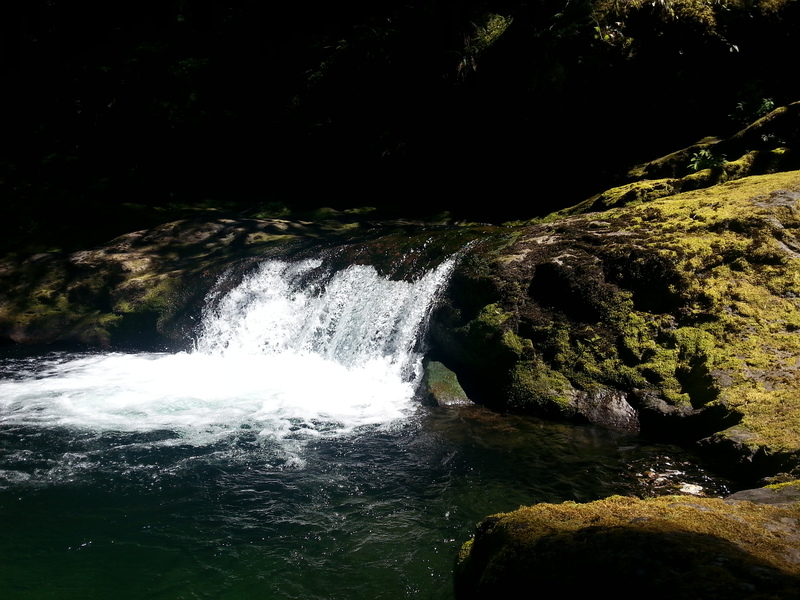 It was very deep with smooth rocks at the bottom and some beautiful small waterfalls. 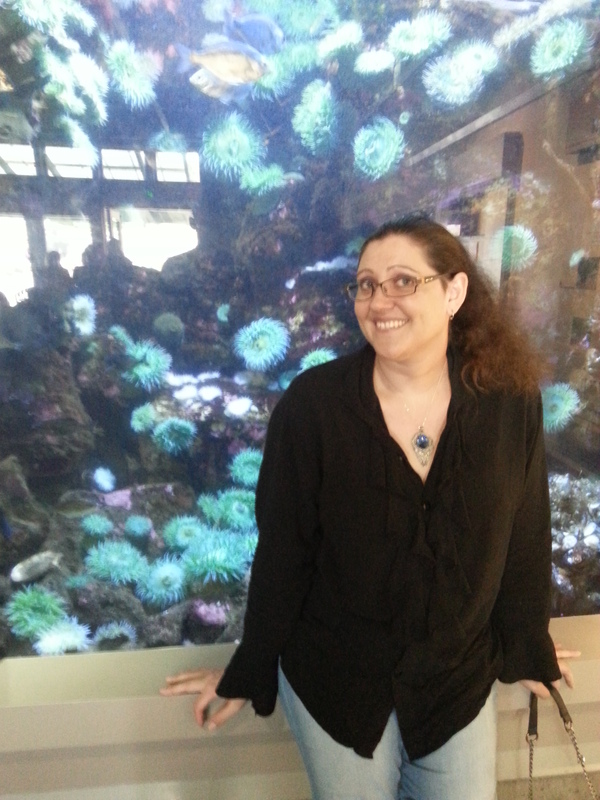 The Oregon Coast Aquarium is not in a major city, nor is it conveniently located. It’s on Newport, which is a city name used to frequently in the USA. In spite of the long drive, I was glad I went. It’s right by the coast so it’s easy to make a day of seeing the tiny aquarium, and then having an afternoon on the beach. 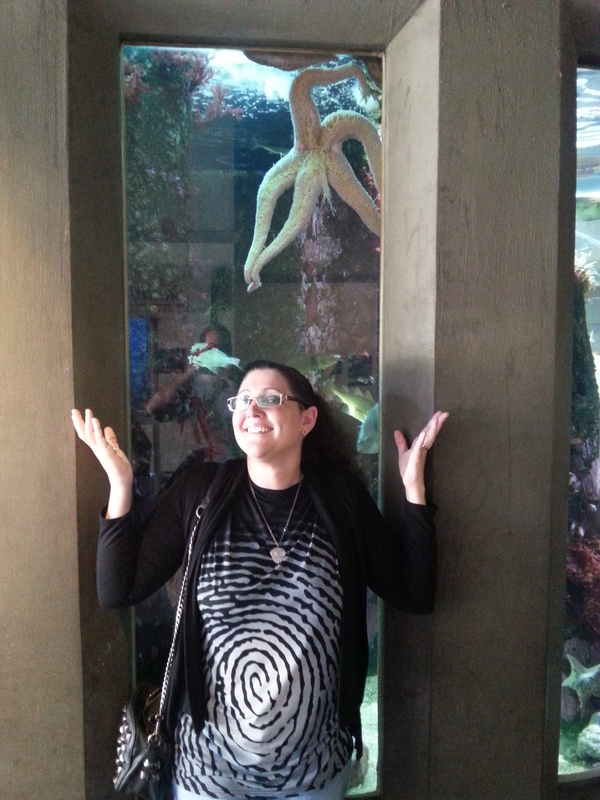 Mostly the aquarium has things that are local to that area, like star fish and seals. You can see these things at the beach too, but seeing them in the aquarium allows for closer look, and for the staff to tell you interesting things about them. 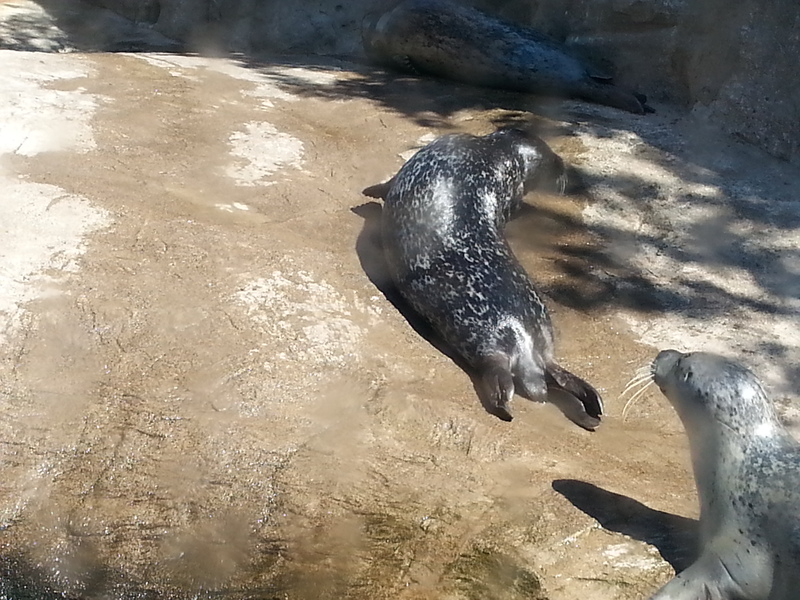 I even stuck around to watch the seals and sea lions eating, which was a good time. I love the way seals sort of squish their way along the land, and yet, they are so graceful in the water. 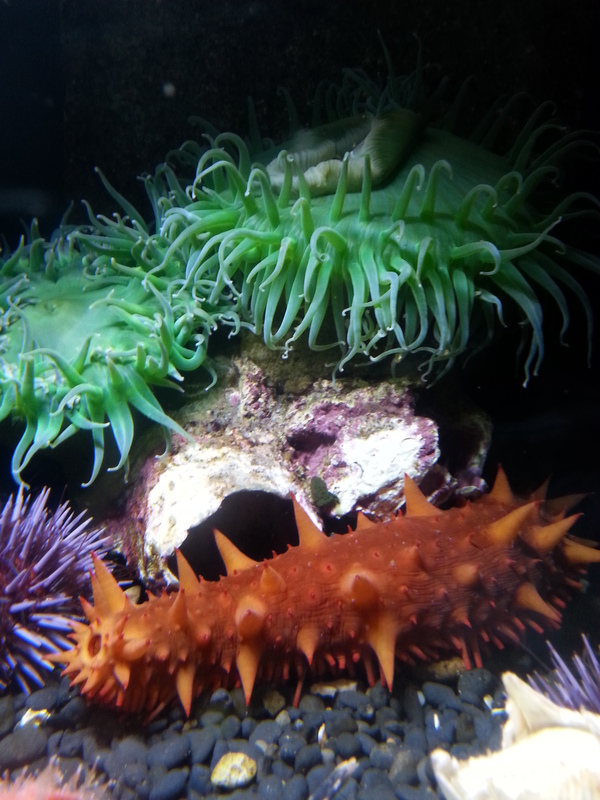 I think the most interesting part of the aquarium is being able to go through the local Oregon exhibits and see things like living Sand Dollars and colorful sea cucumbers. After doing the tide pools and the beach, I had seen all those things from far away. However, a close-up look at healthy and well-cared for animals is always appreciated. 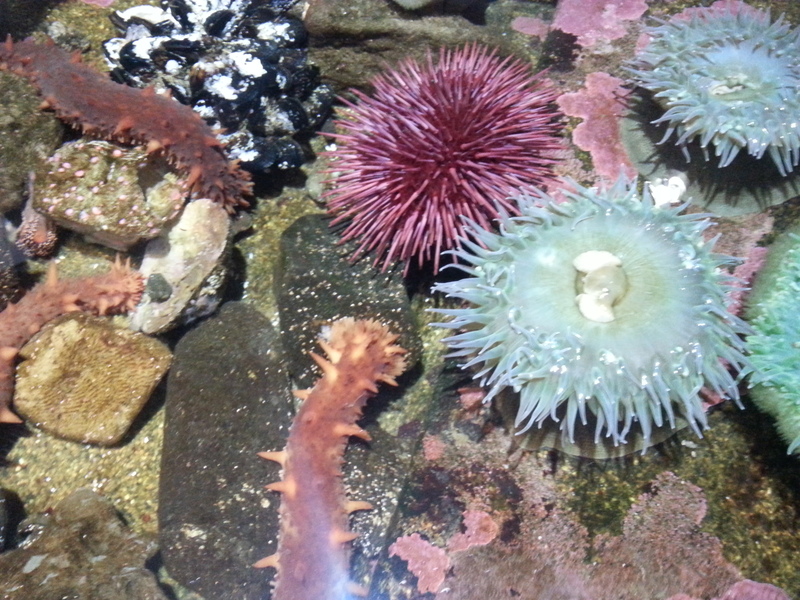 In this picture (above) you can see a green anemone, an orange sea cucumber, and a purple sea urchin. If you were on your own wandering around, you might see all of those in one day. But I promise that you wouldn’t see them all together in one place. So I think that is the real benefit of making the drive and paying the steep admission price. It is just really cool to see all of the sea life of the Oregon coast packed into one place, where you can enjoy it all in a morning.